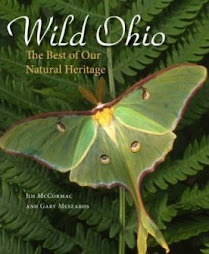 Ohio Birds and Biodiversity: Golden Eagle on deer carcass! I received an interesting email this afternoon, accompanied by photos, from Fred Rau of the Dayton area. Fred, who owns property in rural western Pike County, runs a trail cam on his land, and of late has had its lens pointed at a White-tailed Deer carcass. What a surprise he got when he checked it recently! A Golden Eagle, its namesake nape aglow, eyes the venison steak. This photo and the others were taken on the morning of December 22nd - last Sunday. The cam is motion-activated, and will run for a few weeks before its batteries die. Fred will be back down to check it soon, and it'll be interesting to see if he has any additional shots of the eagle. This spot is on an upland ridge along the edges of a clear cut. What looks to be American Beakgrass, Diarrhena americana, provides the ground cover. An amazing shot, this one, as the eagle mounts its carcass. To my eye, it looks to be a subadult bird, but not a juvenile (first-year). Golden Eagles don't obtain fully adult plumage until their first year of life, when they will appear darkest overall. This animal still has a fair bit of white in the wings and tail. Perhaps a 2nd or 3rd year bird. I happen to know the area where Fred documented this eagle, and it is along a large wooded valley interspersed with lots of large clearcuts of varying ages of succession, and extensive agricultural lands not far to the west. The human population is sparse in this region, too. Not a bad land use mosaic to support an overwintering Golden Eagle. Golden Eagles are quite rare at any time in Ohio. We get maybe a half-dozen reports annually in migration, mid-March thru April and October/November being prime times. Overwintering birds are few and far between, but might be showing an ever so slight uptick. 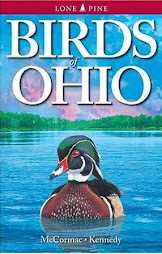 Of course, the famous bird(s) at the Wilds in Muskingum County are best known and have been found for the past decade or so. Although we couldn't find them last Saturday on the Chandlersville Christmas Bird Count. 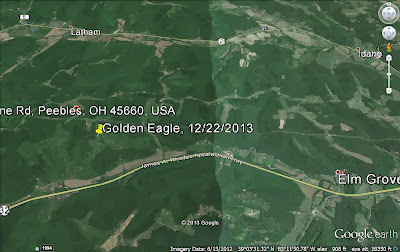 Two winters ago, a juvenile Golden Eagle was found and photographed in Knox County, MORE INFO HERE. 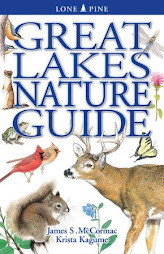 There have been a number of other sightings from recent winters, too. Golden Eagle is far more frequent in the western U.S.; the eastern breeding population is much scarcer. We don't know where the origins of this bird or the others found in Ohio in winter are, but it surely would be interesting to know. 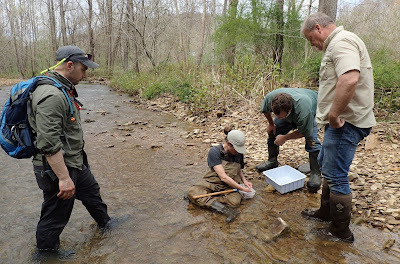 The states of Georgia and Tennessee have successfully hacked birds back into the wild in the last two decades, although I don't know the current status in those states. Historically, it was thought that Golden Eagles nested in many of the eastern states. 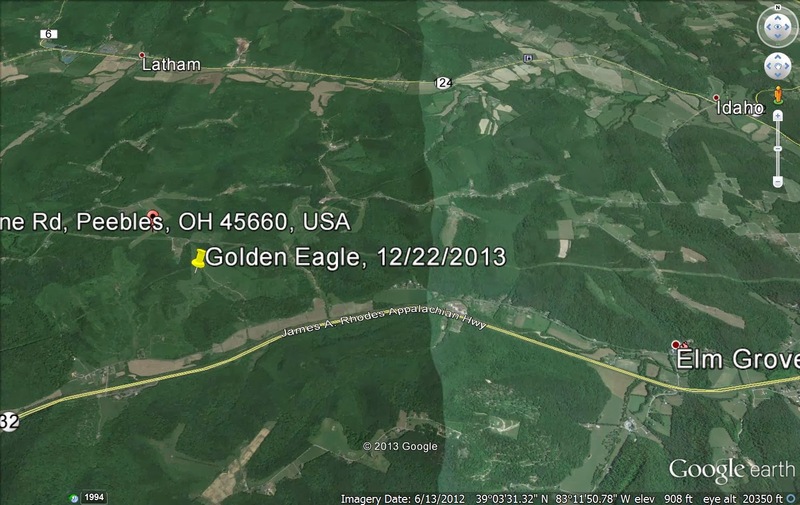 Here's a map showing the specific location of the Golden Eagle, in Pike County. State Rte. 32 (James A. Rhodes Highway) runs to the south, and State Rte. 124 is to the north. There's a decent chance this bird will hang out in the area for a while and perhaps overwinter. Anyone in the area should keep an eye out. Thanks to Ed for sharing this great photos with you to share with us! Wow!! I can just imagine his excitement when he checked these pictures for the first time. Thanks to him, and to you, for sharing!! I am currently designing a biodiversity project & would like to know what kind(s) of cameras were used, or any you'd recommend, if possible. Thanks & God bless!